Do we really need water bottles? Join Rabb/Kinetico Water Systems in “Kicking The Bottle” goodbye! See below how Rabb/Kinetico can eliminate your need for plastic bottles and help provide a greener environment for future generations. What alternative is there to bottled water? 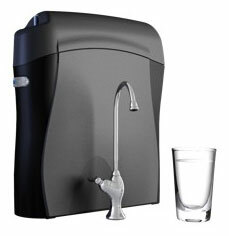 The cost effective and less wasteful alternative is to improve your water at home. Not only do Kinetico water filtration systems ensure high quality, delicious drinking water, they can also make the water you clean and wash with better as well. Treating tap water at home is also more convenient than purchasing bottled water, as consumers can use treated water for all their drinking and cooking needs (e.g., coffee, tea, pasta) without making multiple trips to the store to stock up on space-consuming jugs of bottled water. Consumers can also rest easy knowing they have better quality water consistently, as treating tap water reduces the risk of many harmful contaminants sometimes found in untreated tap water. Fill out this form and receive a $200.00 discount coupon on your Rabb Water System purchase!